Core weight 2 inc 0.20Kg. - Good film clarity for barcode reading..
- Puncture resistance at higher pre-stretch levels. 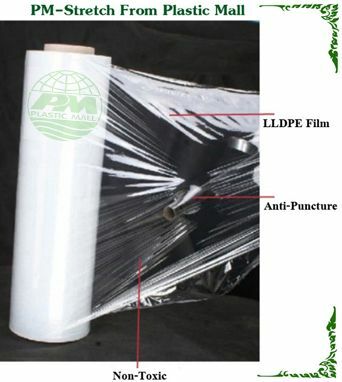 - Good cling performance before and after film is stretched. - Sufficient tensile strength and stretch-ability to carry the load. Hand Roll : With sufficient strength and elongation. PM-Stretch’s hand rolls are quick and easy for pallet wrapping. Our premium resins guaranteed. At least 300% elongation and cut down the cost of packaging.